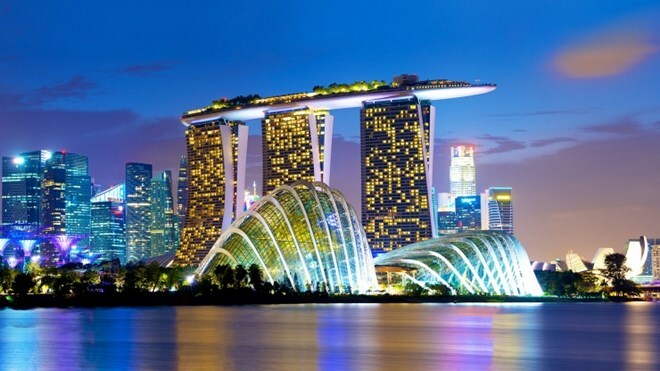 Singapore (VNA) – The Singapore Tourism Board (STB) and the Singapore Economic Development Board (EDB) on August 24 jointly unveiled a unified brand, “Passion Made Possible”, to market Singapore internationally for both tourism and business purposes. At the launching ceremony, Minister of Trade and Industry S. Iswaran stressed that the introduction of a unified brand sends a strong signal that Singapore will be an ideal destination to make all passions possible. EDB Chairman Beh Swan Gin affirmed that the move is not only to cope with fierce competition but also bolster the tourism industry as the country is making a shift from being primarily an investment-driven economy to the one that will be led by innovation. A key feature of Singapore’s new tourism campaign is an emphasis on storytelling. Instead of talking about different things a tourist can do in Singapore, the STB and EDB will use local personalities of Singaporeans from all walks of life and share stories about their passions. Lionel Yeo, Chief Executive of STB, said that iconic attractions in the country like Orchard Road, Marina Bay and Sentosa have been renowned as safe and friendly destinations. “We will build on this by telling stories of passion made possible to develop an even more positive affinity between our target audience and Singapore”, he noted. After launching in Singapore, the STB will promote the new brand in a global marketing campaign spanning 15 markets including the US, the UK, India, the Republic of Korea, China, Japan, Thailand, Indonesia and Vietnam, he said. He added that regarding Southeast Asian nations, especially Vietnam, the STB targets to attract tourists to experience fascinating cuisine programmes. Statistics showed that the number of visitors grew by 7.7 percent year-on-year to 16.4 million last year while tourism revenue rose by 13 percent to 24.6 billion USD.